One of Anton’s final films, Porto is set to be released in New York City this Friday, November 17th, in Landmark Sunshine Cinema, and will run until November 23rd. Visit this link for details and for booking advanced tickets! After that, the film will be shown in Los Angeles, California starting on November 24th to 30th in Landmark Nuart Theatre. For more info and for tickets for the LA run, visit this link. Check out high-quality images in our gallery and the official trailer below! Also, keep an eye out (if you’re not yet following us) on our Twitter for some more goodies as we approach and during the film release. All thanks to Kino Lorber, the distributor of the film. A batch of official images from one of Anton’s final films, Thoroughbreds, has been released, including a few production stills and an official poster. The first trailer is expected to be dropped next week. The film premiered at the 2017 Sundance Film Festival last January, and is set for a March 9, 2018 release. Childhood friends Lily and Amanda reconnect in suburban Connecticut after years of growing apart. Lily has turned into a polished, upper-class teenager, with a fancy boarding school on her transcript and a coveted internship on her resume; Amanda has developed a sharp wit and her own particular attitude, but all in the process of becoming a social outcast. Though they initially seem completely at odds, the pair bond over Lily’s contempt for her oppressive stepfather, Mark, and as their friendship grows, they begin to bring out one another’s most destructive tendencies. Their ambitions lead them to hire a local hustler, Tim, and take matters into their own hands to set their lives straight. Back in 2005, Anton starred in the independent drama-thriller, Fierce People, with Diane Lane, Donald Sutherland, Kristen Stewart, and Chris Evans. I have updated the gallery with additional production stills and poster from the film, as well as 1,053 high-resolution screencaps. Huge thanks to Dianne at Chris Evans Online for generously donating the screencaps! I have updated the gallery with high-quality posters and production stills from Green Room. Also, check out a new official clip from the movie and a featurette featuring Patrick Stewart. 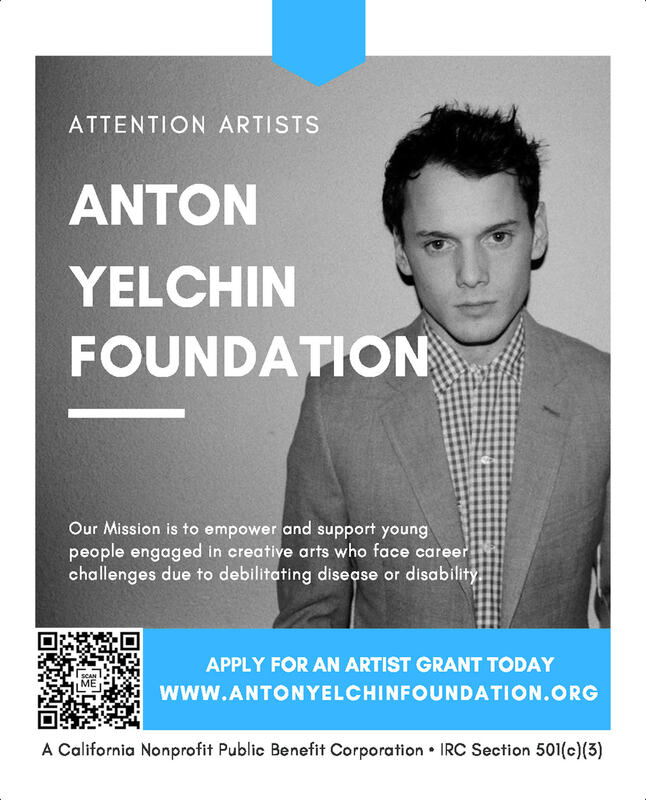 To honor his memory, Anton’s family and friends created this foundation to empower and support young people age 7 to 27 who are engaged in creative arts, but who face career challenges due to debilitating disease or disability. The show follows 15-year-old Jim (Anton Yelchin), who is transformed into the Trollhunter, defender of the good trolls, after stumbling upon a magical amulet. While fighting alongside his best friend Toby (Charlie Saxton) and the wise four-armed troll Blinky (Kelsey Grammer), he also must juggle play rehearsal and homework. Jake and Mati are two outsiders in Porto who once experienced a brief connection. A mystery remains about the moments they shared, and in searching through memories, they relive the depths of a night uninhibited by the consequences of time. RAY of Light: Remembering Anton Yelchin is an unofficial, non-profit fan-run site. We are in no way affiliated with Anton's family, friends, or any of his representatives. All media, photos, trademarks, and copyrights are the property of their respective owners. We do not claim ownership of the images used on this site, unless stated otherwise. No copyright infringement intended. If there's anything you find on the site that belongs to you and needs to be removed, please contact us before taking legal action. This site is proudly paparazzi and gossip free.